This book takes risks and touches on issues not often found in the romance genre, but the lack of chemistry between an unsympathetic heroine and a hero who doesn't seem ready for a long-term commitment make this one a DNF for me. 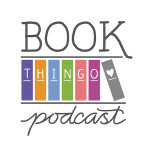 This book takes risks and touches on issues not often found in the romance genre, but the lack of chemistry between an unsympathetic heroine and a hero who doesn’t seem ready for a long-term commitment make this one a DNF for me. I wanted to like this book. There are too few older heroines in romance, and this book deals not only with a twelve-year gap between the heroine and the hero, but it tackles issues not normally found in the genre—abortion, miscarriage and tax evasion. Rafe Ellersley is sent to audit Lexie Thatcher, an artist who hasn’t paid her taxes in four years and has so far ignored all communication with the tax office. He’s not overly enthused about his job, but he needs the money to be able to fulfil his dream of owning and running a fishing charter. Lexie Thatcher is in the middle of a painting that she plans to enter in the Archibald Prize, but she’s experiencing painter’s block. The last thing she needs is the tax man hanging out at her place, asking her for receipts, and worrying about how much she may have to pay in back taxes and penalties. Much is made, during their early encounters, of their attraction and their age difference. Lexie is supposed to be 38 years old, but here the writing starts to fall apart for me. She’s been painting for a while, yet she hasn’t got a handle on how to run a business. She doesn’t pay tax and ignores the tax office because it’s too stressful to handle. She doesn’t even take it seriously when Rafe appears at her doorstep. But most of all, for a woman of my generation, she sounds…like my mum. Maybe even older. I couldn’t figure out what attracted Rafe to Lexie. She comes across as supremely annoying, and for all that she supposedly looks so young for her age—‘yoga kept her firm and toned; forgetting to eat must help keep her slim’—I know people in their early twenties with a better handle on their lives. So anyway, they end up sleeping together, and Rafe warns her that it won’t affect the result of the audit. Lexie is understandably hurt by the implication that she was trying to bribe him with sexual favours. I found it incredibly difficult to believe that Rafe is so overcome by passion that he’s willing to sacrifice his job and his dream, with the added risk of STDs when he takes Lexie’s word that she’s on birth control. I thought, Bugger this, life’s too short to keep reading a story I have zero interest in. This is a book that doesn’t follow ye olde romance conventions. The plot points aren’t predictable and neither is the structure of the story. The ending, though happy enough, is as close to being realistic as you’re likely to get in a romance. The story delves into some deeply emotional issues; if you’ve suffered from miscarriage, keep the tissues close by. 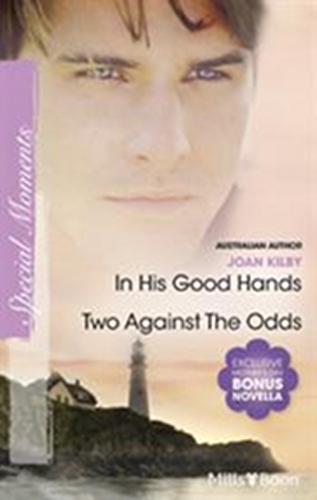 So props to Joan Kilby for taking so many risks in this one book. Unfortunately, she doesn’t pull it off. Lexie is an annoying heroine who lacks self-awareness. She’s also excruciatingly stereotyped—an artist who has no head for business, subscribes to new age practices, works herself to exhaustion and loves cats and children. Every creative person I know issues receipts and pays taxes. And if they do take under-the-table cash payments? No one hears about it—especially not the tax man. Rafe isn’t ready for a commitment and I have no idea what kind of life he envisages with Lexie. He seems like a more realistic and three-dimensional character, but unfortunately, the plot conspires to underscore how young he is and how unprepared he is for marriage and family. Rafe’s character also comes across as inconsistent. He’s apparently a great accountant, but instead of working for a private firm he’s at the tax office, which, I’m assuming, pays nowhere near the same, with the added bonus that he can audit corporations rather than single mothers and artists struggling to make ends meet. This book was DNF for me, although I skimmed through the rest of the book to check if I might be able to pick up the story at a more interesting place. No such luck. 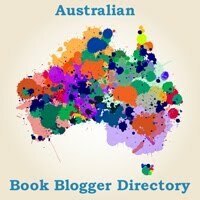 Tagged 2011 releases, aussie author month, australian authors, australian characters, australian romance, joan kilby. lol love the who might/ might not enjoy this book section.. made me laugh.